Wow. This is a pretty cool keychain. 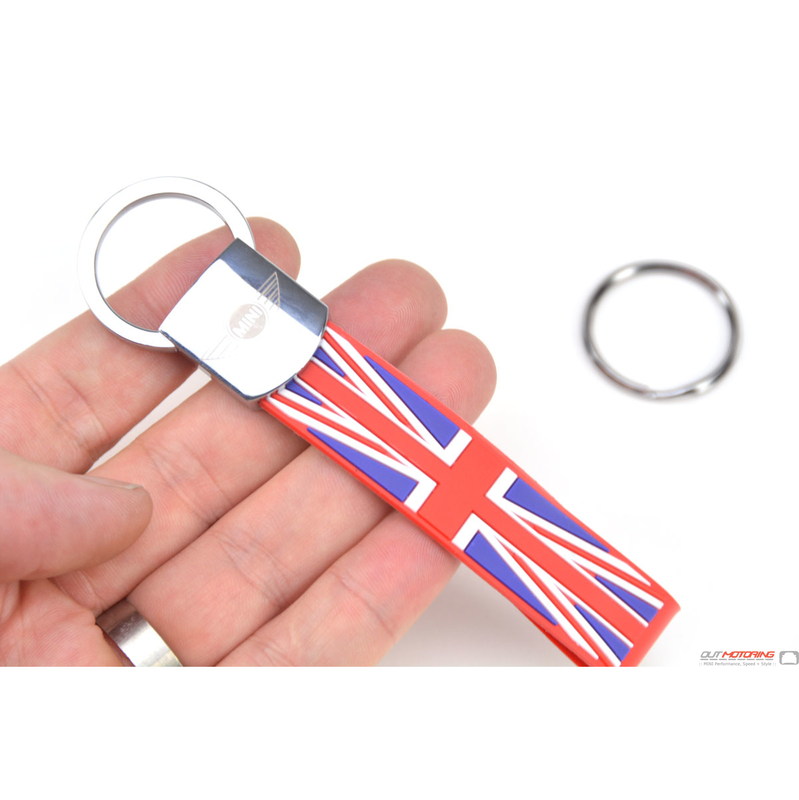 To quickly release the key ring simply pull outward and twist. 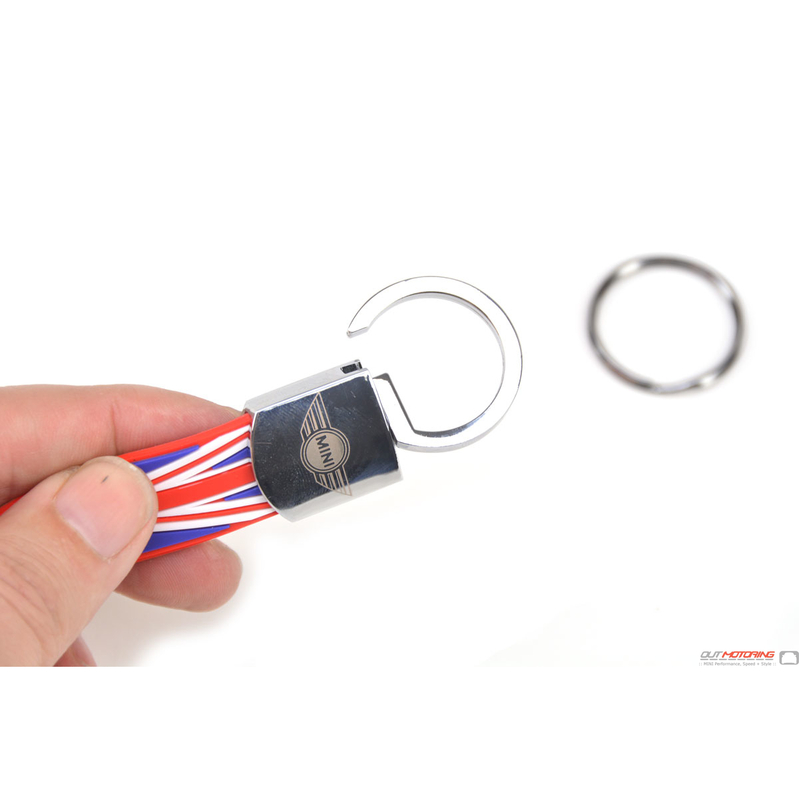 This allows for easy access and removal of a secondary ring that may have house, car or work keys. Twist it back and it springs into the locked position. And did you notice the super soft and flexible strap accent? 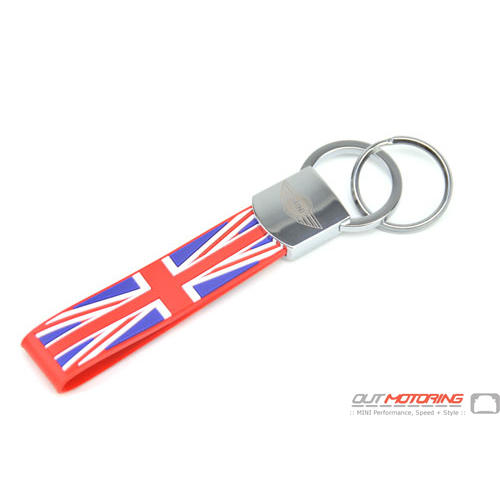 Features a 'smashing' union jack pattern in tradition red and blue. Includes secondary ring.